When you’re getting started as a real estate investor, you are going to make mistakes (some more often than others). While there are many potential missteps the “newbie” investor is prone to make, perhaps the biggest mistake new investors make in their burgeoning career relates to their real estate lead generation. Without a steady stream of leads, none of the levels of your marketing funnel — or profit systems you put in place — will come to fruition. (Especially during the real estate offer process.) But that doesn’t mean you have to spend countless hours — and multiples of dollars — making every real estate marketing mistake in the book. In fact, the savvy real estate investor learns from the mistakes of others and takes appropriate actions to realize their desired goals. 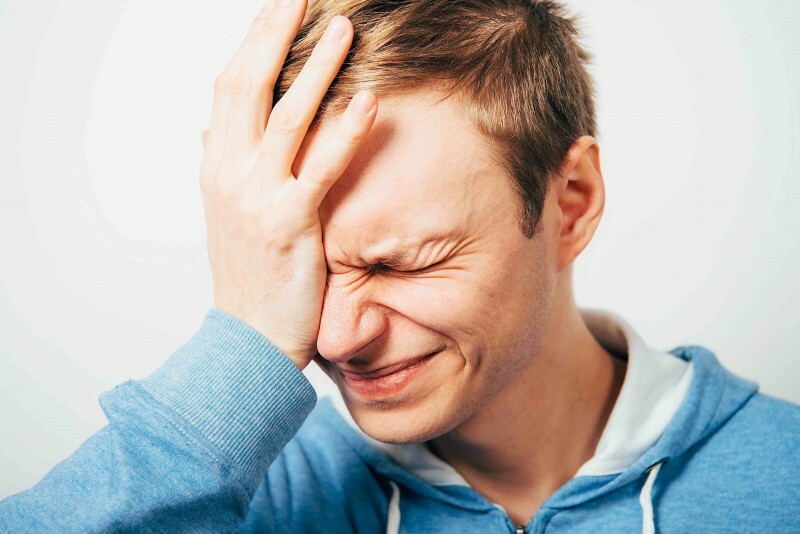 And though we can’t guarantee after reading this article you’ll never make another real estate lead generation mistake again — sorry but even the most experienced investor can’t achieve that — here’s a deep look at the biggest mistake first time investors make in their quest for real estate leads, and how to avoid it. Are Your Making This Classic Real Estate Lead Generation Mistake? So, what’s the biggest real estate lead generation mistake new investors make? Well, there are many candidates to choose from: sub-standard marketing materials, mediocre sales copy, inadequate knowledge of your local market, bandit signs that look like they were painted by a four-year-old. But in our opinion, the biggest error new investors make when learning how to get real estate leads is to shy away from using direct mail as an integral part of their marketing strategy. And if you’re one of those individuals who believe direct mail marketing is too expensive or too ineffective or simply too “old school” to have a place in a modern real estate investor strategy —if that describes you, you’re not alone — keep an open mind as we try to dispel some of the myths surrounding direct mail marketing as a tool for real estate lead generation. Despite references to the contrary that claim the world is “going digital” and good, old physical mail doesn’t work as a marketing tool anymore, the Marketing Charts blog found in their annual survey direct mail enjoyed nearly a four percent response rate — compared to a 0.1% response rate for platforms such as social media, paid search and email. Another reason why spending time on direct mail might be one of the most profitable real estate lead generation techniques you can have as an investor, is the ability to laser-target your marketing message to specific groups. For example, you could set up a campaign that sends postcards only to North Denver homeowners going through probate. Or create a campaign that targets homeowners in the midst of pre-foreclosure in South Portland. The only limit to your targeting is your imagination and your budget. And though there’s no question direct mail marketing does require upfront capital — such as list acquisition, material creation, postage, etc. — it’s important to remember not all real estate leads are created equal. If somebody responds to your direct mail piece — such as calling your toll-free number after looking at your postcard — you’ll know they are “motivated” leads. (Often far more motivated than somebody who simply clicked on a Google Adwords ad.) This can make the quality (and eventual value) far more valuable in the long run. Here’s a fifty-thousand foot view of how to make direct mail work for you, regardless of budget. Figure out “who” you want to reach – This usually entails a combination of zip code and specific segmentation criteria, such as homeowners going through pre-foreclosure, probate or out-of-state ownership. Always start narrow and broaden out from there after you’ve gotten some data. Rent or create a of list of your ideal buyer, based on your segmentation – There are many reputable list rental services out there. Simply put “direct mail list rental” in your search engine of choice to find some. But if you’re on an extremely limited budget, you could comb through public records to build your list. (Not ideal, but an option.) Money invested in this department, if executed correctly, usually provides a nice return on investment. Come up with sales copy for your direct mail piece – Pay attention to what comes in your mailbox to see what verbiage and graphical elements catch your eye — and how materials that express urgency and emotion seem to work best. Keep writing (and rewriting) that sales copy until it sings. Print out 50-100 pieces of your direct mail piece – Don’t worry, there will be plenty of time for your larger runs when you’ve got a sense of whether the marketing piece you’ve got is working. Until then, stick with a shorter run and some testing. Install your lead-collection system – This usually means creating a landing page with your tricked-out real estate website or having a toll-free phone number people can call to get more information. (Or both.) The key is to have everything in place before you do your first test. Run your first test, sending out 25 pieces or so – Track your response rate. Are you getting at least a 1-2% response rate. If so, you have a winner. If not, keep tweaking until you’ve found the segment and message that works together. Hall-of-Fame baseball player and sports legend, Babe Ruth, once said “Never let the fear of striking out get in your way.” The same principle applies to your real estate lead generation efforts. Yes, we all want to have successful marketing campaigns, that bring in tons of real estate leads, at minimal cost and maximum impact. But perhaps the best real estate lead generation tips are simply about changing your perspective on marketing success. Because if you’re able to see each campaign as an opportunity to gather information and learn more about what doesn’t work, then you’ll not only slowly build the foundation of a successful and profitable business, but put yourself in position for a couple of Babe Ruth-worthy home runs along the way.